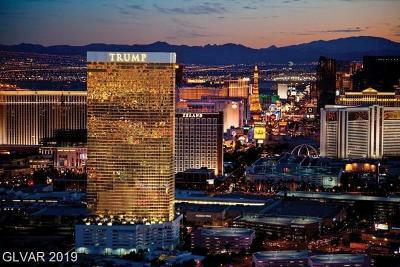 Trump Las Vegas Condos Trump Las Vegas Tower's amenities include a sumptuous day spa, fitness center, salon, acclaimed restaurants, DJT® and H2Eau™ ( one of our favorites for light healthy cuisine), an outdoor heated pool and sundeck, as well as a full-service business center. The experience at Trump International Hotel Las Vegas is at the level of excellence that is Trump is known for. 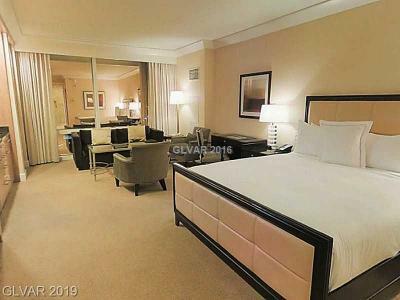 TRUMP CONDOS are offered Fully furnished and appointed with the finest marble and cabinetry, bedding, and accessories. 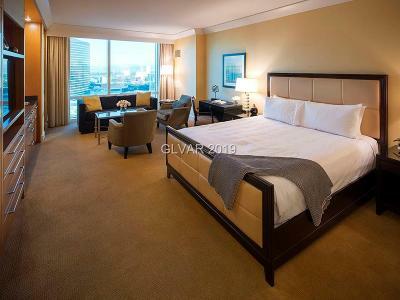 The property features 1,232 ultra-luxury hotel condominium suites and 50 exclusive penthouse suites, white-gloved doormen, valet parking and 24-hour concierge service. 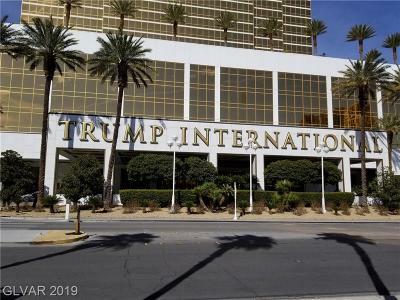 There are still about 900 Trump Las Vegas Condos that are available directly from Trump. 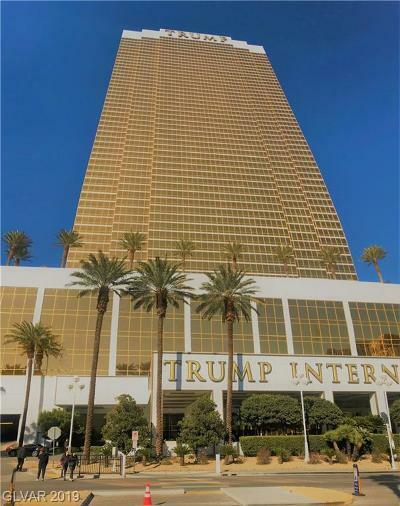 This building is a TRUMP-Ruffin development and is not one in which the TRUMP name has been franchised. 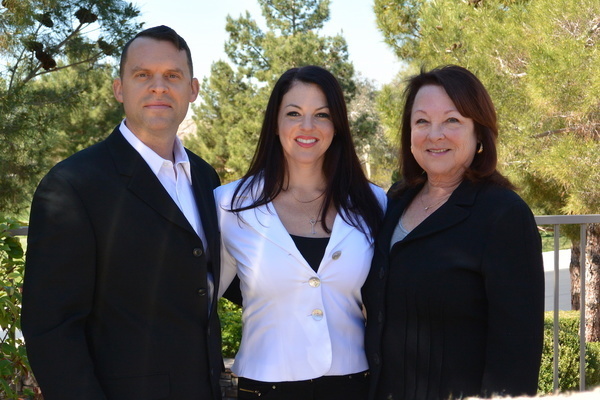 June Stark was the first Las Vegas high rise condo real estate agent who was permitted to place her clients reservations for TRUMP TOWER in the preconstruction phase, and was featured on the TRUMP LAS VEGAS promotional video. 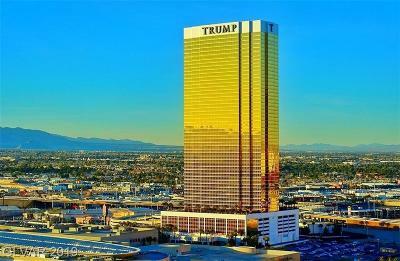 Lauren Stark was featured on HGTV's What You Get For Your Money Cable TV Show, giving a tour of her favorite studio unit in Vegas, Trump Tower, of course. 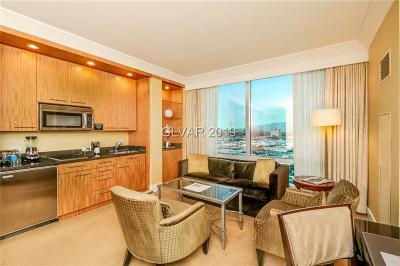 The simple elegance of the condos and the tremendous CENTER STRIP location, can't be beat. 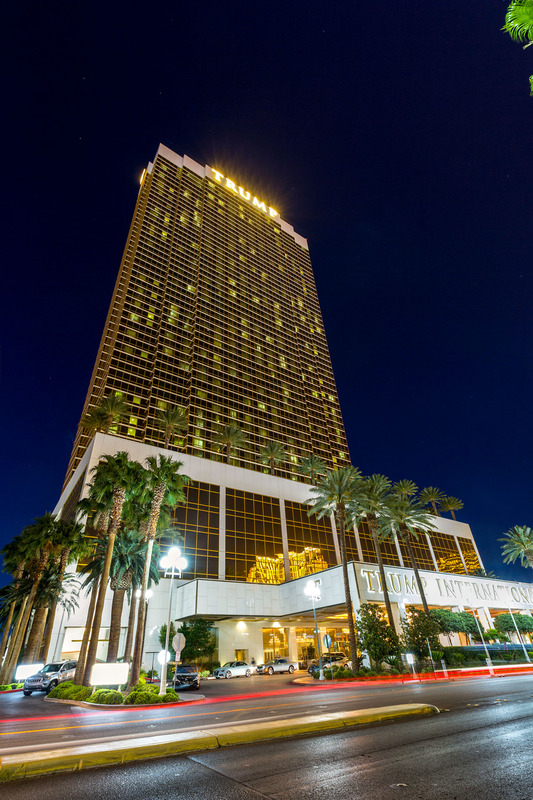 The Fashion Show Mall and WYNN and Encore are just a walk away!! 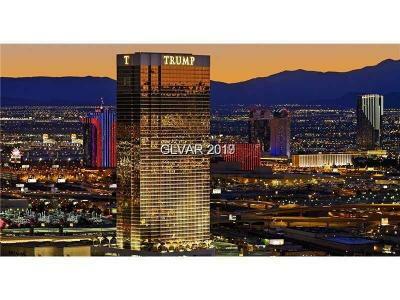 The STARK TEAM is well connected with the TRUMP Organization and can help you get the best condo values in the tower. 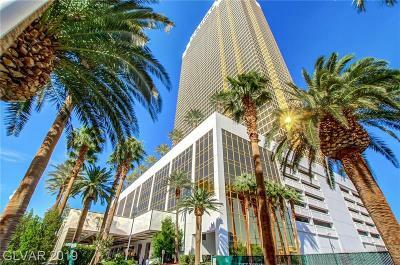 Trump Towers Las Vegas has its own on site rental program so condos can be rented out when not in use which will offset some of the carrying costs. If an owner wants to place his or her condo in the rental program he will have to take out a million dollar liability policy which will cost about $700 per year. The HOA dues at Trump Hotel International are about $370 per month for the studios and $750 for the 1 bedrooms. Owners are responsible for electricity. The condos facing south have the long picture postcard Strip Views overlooking the Fashion Show Mall that everyone is familiar with from TV & media, and these sell at a premium but also rent for a higher rate. 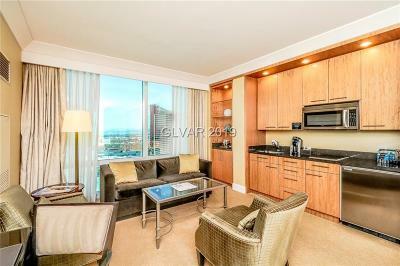 The west, north, and east side condos are considered city view condos as opposed to Strip view condos, Units can be purchased as pairs which share a common vestibule but do not connect from the interior. The doorway to the hallway can be locked for privacy and residents can flow from one unit to the next. Trump Las Vegas has a pet friendly policy and it is not unusual to see guests leaving the Penthouses with a toy poodle or Yorkie. Trump Tower has what we believe are the speediest elevators in town and a separate elevator core for the higher floor condominiums. As high rise specialists, we can share details with our clients about elevator speed, floor access control, communication from inside the elevators, and we know which buildings have the most responsive concierge & best security. We really know the ins and outs of the various high rise condo buildings that may be of importance in evaluating which condos project will work for you. Units can be placed in an on site rental program when not in use.